id Software’s Chief Technology Officer (CTO) Robert Duffy was featured in a video interview on AMD’s YouTube channel, speaking about the new Ryzen CPU architecture. There was a fair amount of praise as well as some interesting tidbits, such as the fact that id Software is working on a new iteration of its engine that will fully utilize Ryzen. We got Ryzen 7 PCs in and one of the first things we wanted to do was see how it ran. Out of the box, 1080P, it ran fantastic. Then we started to do 4K tests and soon in the future, we’ll be doing 8K tests and we expect Ryzen to do really well. For idTech games and games in general, I think there’s going to be additional CPU headroom certainly offered by the Ryzen platform and if you take into account how many people are streaming gameplay these days, that’s pushing a lot of bandwidth out the pipe that’s doing live video encoding and you think about the additional cores and capabilities that Ryzen has, your game is still going to run really fast even if those people are doing all this other stuff on their PCs at the same time. One of the things we noticed with the test systems is, developer iteration times are a lot faster, because your compiles are faster, booting the game is faster, so from a developer perspective that’s really good. What it does for gamers is going to be key. Ryzen has a super attractive price point, so we’re going to see a lot more capable CPUs in a lot more people’s hands over time and the additional threads and cores allow us to turn up a lot of things, like better frame rate, more AI, more things happening in the game space, more simulations running, more realistic worlds. Ultimately, we’re making entertainment software and consumer experience and fun are key. We think Ryzen is really going to bring that to more people. We’re working on the next generation of idTech right now and we’re definitely going to fully optimize for Ryzen. The new engine technology that we’re working now is far more parallel than idTech 6 was; we plan to really consume all the CPU that Ryzen can offer. We’ve reviewed both Ryzen 7 and Ryzen 5, in case you’re still on the fence about the new CPU architecture by AMD. 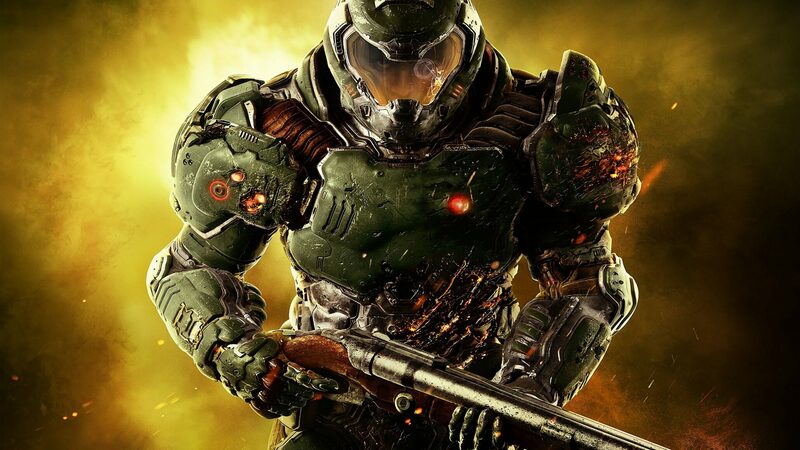 id Software made a strong comeback with 2016’s DOOM. The studio is now working on Quake Champions, currently in closed beta testing. Interestingly, the game runs on a hybrid engine that’s made by Saber tech (by Saber Interactive) and idTech. Rumors indicate that a new Wolfenstein title by MachineGames could be announced at E3 2017, but it would likely be powered by idTech 6 rather than this new iteration that’s still in development.